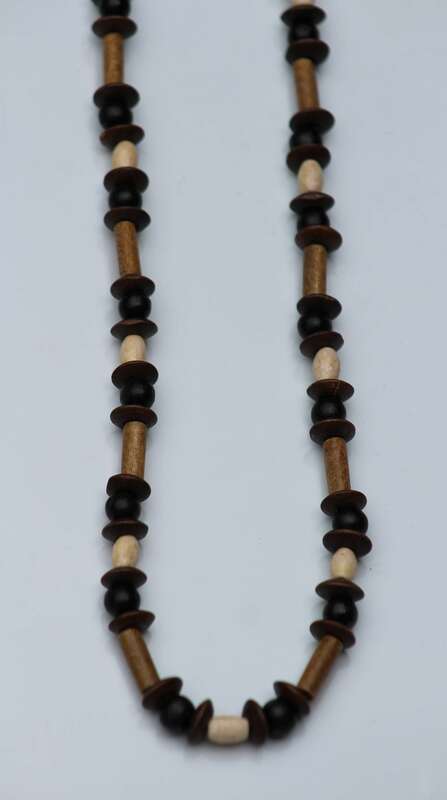 Go Boho Style with this long, brown, wood beaded necklace. 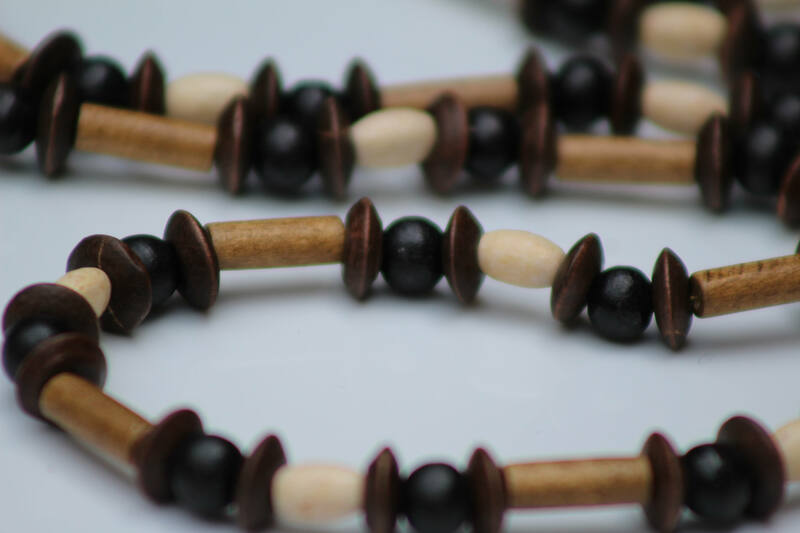 This necklace is the perfect accent to that beautiful summer tan! Wear it through the summer and then through the gorgeous colors of fall! Throw it over your head, I made it using a gorgeous black onyx link at the ends, so you don't have to worry about clasps! 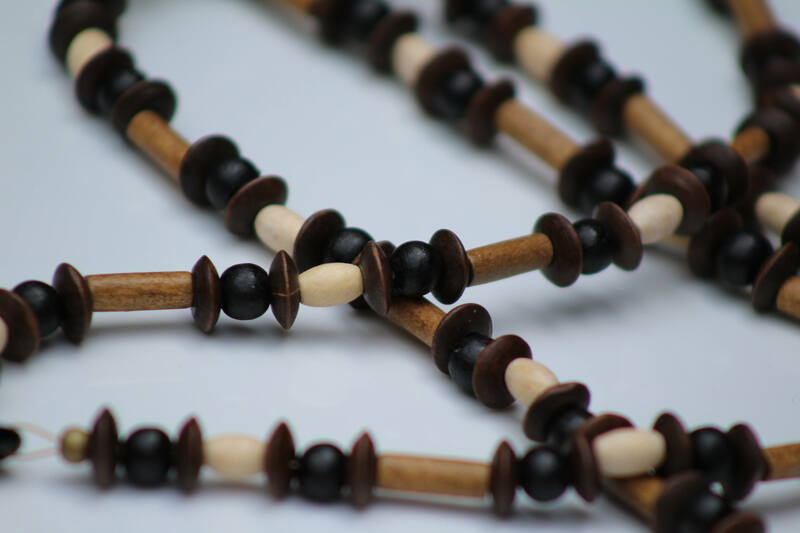 Use it's neutral colored beads to accessorize almost anything you're wearing! 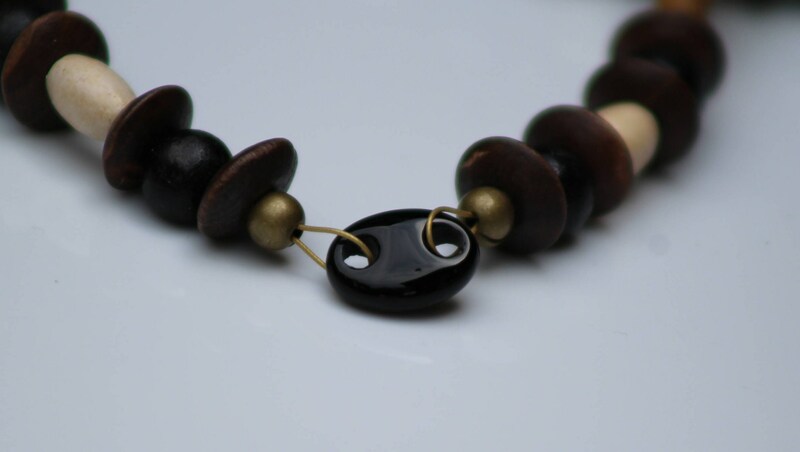 The longest bead in this necklace is approximately 14mm. 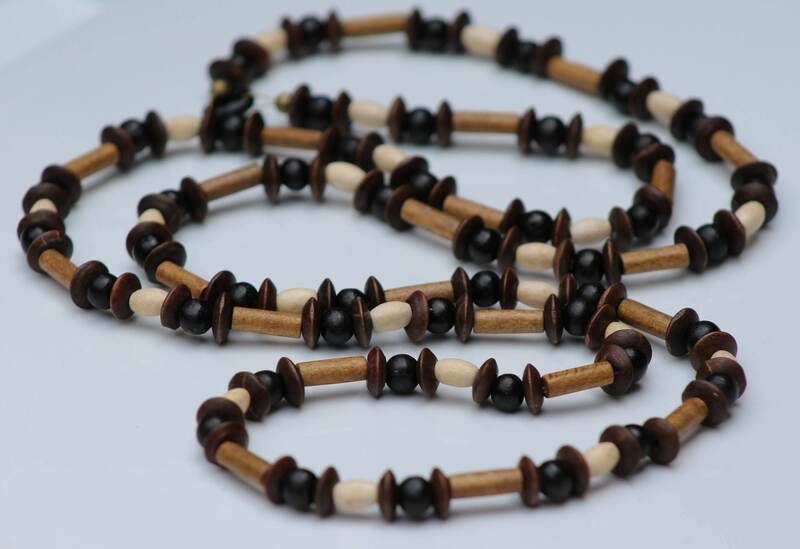 The entire necklace is approximately 47 inches long from end to end. Not that tall? If your're not looking for a necklace quite this long, just double it up! It looks great that way too!